Drought in Karnataka, India, 2012. By Wikimedia Commons user Pushkarv. This page undertakes a consideration of environmental anxiety in postcolonial South Asian texts by situating fictional environmental considerations within their extra-textual milieux. The point here is not to imply that the authors of these texts have been inspired by real-world events, but to investigate whether any useful critical insight can be gained by comparing the psychic and physical consequences of fictional and lived environmental threats and calamities. Does our affective response to environmental risk change when it is fictitious instead of imminent? Does literally placing imagined ecological catastrophes on the map alongside historical and contemporary ones change the way we experience them? Does this make it feel more real? Does it make us more inclined to act? The impetus to focus specifically on the South Asian postcolonial novel in English is multiplex: the large and respected body of South Asian English novels is the archive in which I am best trained; the literature provides a rich example of decolonization and its aftermath; and the region has a long history of social and environmental activism. As Madhav Gadgil and Ramachandra Guha emphasize, not only was the global south environmentally exploited during the era of settler colonialism, but the costs of environmental degradation continue to be exported to already vulnerable populations in and around the Indian subcontinent (121-2). The novels of this region respond to this continuing environmental tyranny in ways that are informed by models of postcolonial resistance. The texts here have been selected for their explicit interest in and focus on environmental issues. This is a work in progress, and new texts are being continuously added. If you have a suggestion for a novel to add, please don't hesitate to get in touch. Gadgil, Madhav, and Ramachandra Guha. Ecology and Equity: The Use and Abuse of Nature in Contemporary India. Routledge, 1995. Summary: How to Get Filthy Rich in Rising Asia is a parable on the impossibility of becoming, or perhaps remaining, filthy rich in rising Asia. 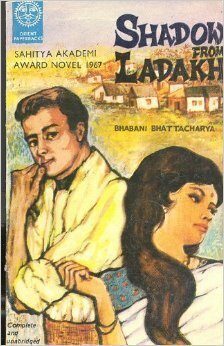 The second-person narrative parodies the self-help genre, as a "poor boy" and a "pretty girl" try to claw their way out of poverty in an unnamed country that very much resembles Pakistan. The self-help conceit offers unique insight into the ways in which the poor are stripped of agency: the reader is given the false impression that she can chart her own path, but the novel's plot is predetermined, carefully structured, and without room for deviation. The novel's main protagonist, and the reader's closest avatar, seeks to make his fortune by bottling and selling water. Overuse, pollution, and climate change, all of which make water a vulnerable and precious resource, contribute to ambient environmental and economic anxiety throughout. Citation: Hamid, Mohsin. How to Get Filthy Rich in Rising Asia. Penguin, 2013.